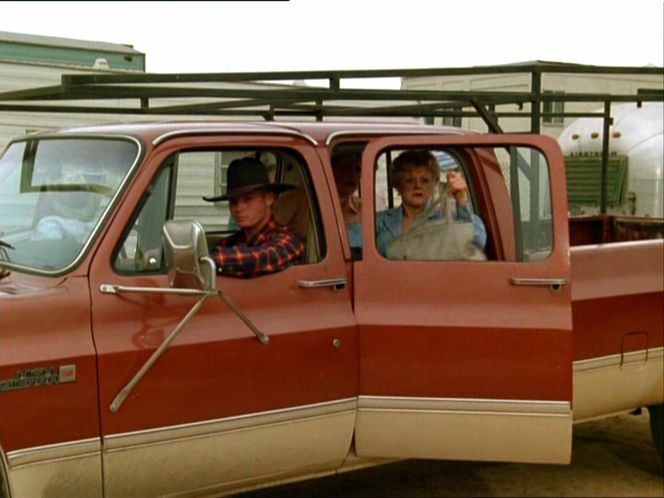 IMCDb.org: 1981 GMC C-2500 High Sierra Crew Cab Wideside in "Murder, She Wrote, 1984-1996"
Is that 2500 or 3500? Your guess is as good as mine. However, the badge seems to read "2500." Comments? Either way it is clearly equipped with High Sierra trim (it's not the model name as was listed) and has a Crew Cab Wideside body. This would be a 1981+ model as far as what is visible indicates. It looks like 2500 to me as well.